This week marks my 10th anniversary with Abante Marketing. TEN YEARS! I can’t help but reflect back over the last 10 years and think of all that has changed. In that time, I’ve celebrated turning 30 (yes, that means my 40th is upon me), moved 4 times, and had 3 babies. All of these events are significant on their own, but they are made better knowing they’ve happened while working at a job I love. There are so many aspects of this industry that I enjoy. I love my customers. So many turn into great friends, and I am so blessed I get to work alongside my friends every day. Besides my customers, I love the product! Who doesn’t love great swag? 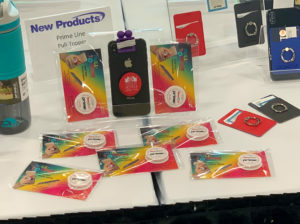 (BTW the person that coined promotional products with the term SWAG, is genius!). 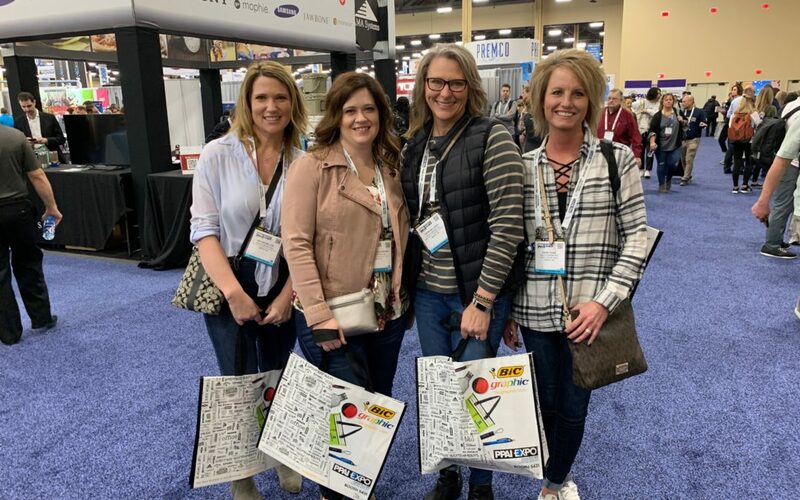 We’ve just returned from the annual PPAI show which we attend each year in good ole’ Las Vegas. The show is overwhelming to say the least. We walk for miles and by the end of the day have sore shoulders and backs from all the goodies we carry around to share with our customers once we return home. 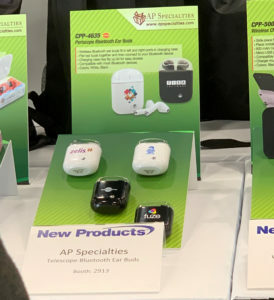 I am asked the same question every year at this time, “What’s new?” I’m pleased to say this year there was no shortage of new promotional products. I personally am a junkie for any kind of phone charging, carrying, or holding device. The PopSocket was the hottest promo product to hit our industry three or so years ago, it has evolved just a bit and is now offered in wood and aluminum. 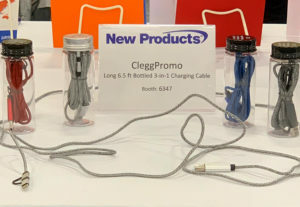 This year we saw 2 similar new products that fill the same need at a lesser cost without the patent restrictions. 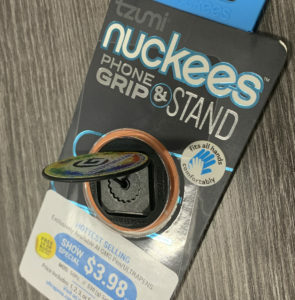 The first of these two phone accessories, Nuckees, has an elastic band in between the two round plastic pieces, a 4 way stand, and a built-in magnet to be used with a car vent accessory or any other type of magnetic surface. The second, Pull-Topper, is another great alternative. Rather than having an elastic band, it has a plastic center that can be used as a holder, stand, and even a cord winder. 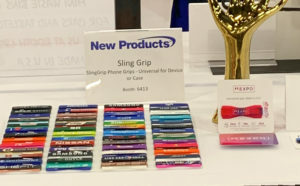 While not new, the Sling Grip remains my favorite, can’t live without, phone accessory. We discovered these little life savers last year, but they have been revamped this year to be an all-in-one. 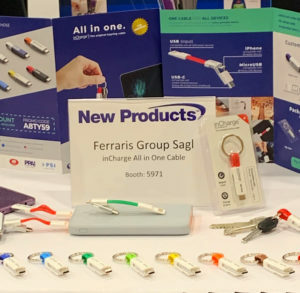 There is no longer a need to purchase multiple connectors. They are easy to carry and store, meaning you’ll never be without a charging cord. This 3 in 1 charging cable is great because of the engraved decoration that allows the logo to be lit up when in use. I have yet to give up my Apple ear buds that come with the phone, but I love the look of these. Bluetooth ear buds that offer a single color or full color digital imprint on the case. The case also serves as the charging device for the ear buds. Between phones and tablets, we have at least 6 devices in our house. Having 3 in 1 cords might solve the clutter of cords that are always on my kitchen counter. This next product isn’t a show discovery, but is my favorite charger that I left behind in my room. 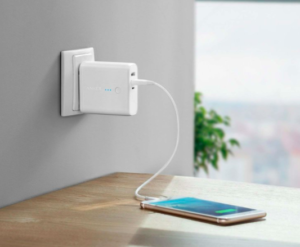 When plugged in, it recharges your phone and itself, then can be taken on the go. Paired with the inCharge all-in-one I mentioned earlier, it’s perfect for a backpack or purse. There’s a few products in this picture. 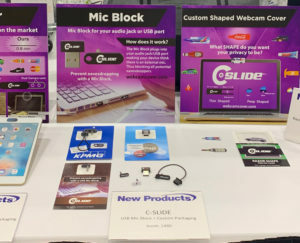 Custom webcam covers, mic blocks, and razor webcam covers. 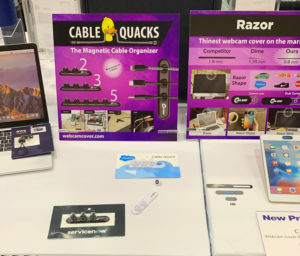 The picture following is magnetic cable organizers. All of these would be small and at a great price range for trade show hand outs. 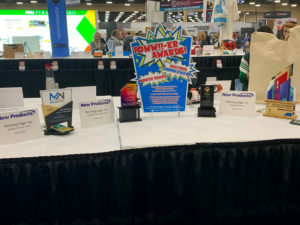 As someone that always has a cluttered desk, I think these awards combined with charging ports are ingenious. 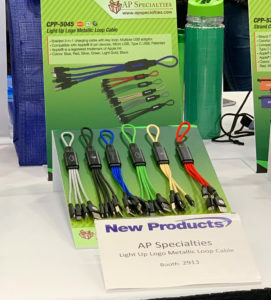 I’ll be following up with a second post to share the remainder of the new promo products, but for now please give your Abante Marketing sales person a shout if there’s anything here that sparks your interest. Here’s to 10 more great years!